Our Summer Sale is now on. Grab yourself a bargain. 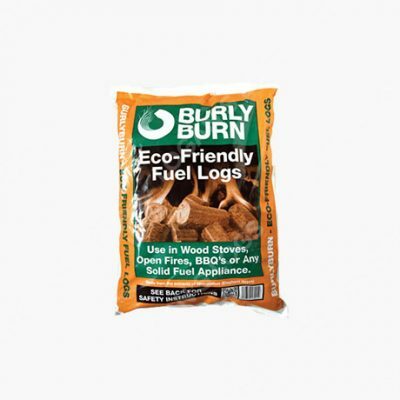 Make huge savings on Part Seasoned Firewood, Coal and Smokeless Fuels. This fire pack includes: 2 Nets Premium Quality Kiln Dried Ash Hardwood, 2 Bags of Tinderstix, 1 Pack of Standard Firelighters, 15 Rock Estuary Heat logs. 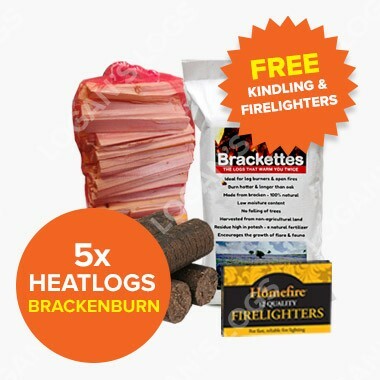 This fire pack includes: 5 Nets Premium Quality Kiln Dried Ash Hardwood, 1 Large Bag of Kindling, 1 Pack of Standard Firelighters, 1 Bag of Rock Estuary Heat logs. 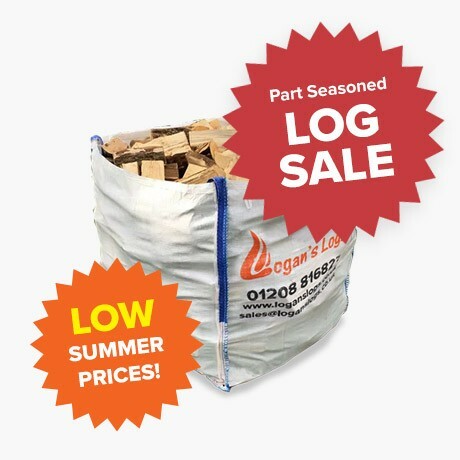 Our Special includes two nets of our fantastic Kiln Dried Logs and two bags of coal of your choice. Includes 2x Net of Kindling and 2x Box of Firelighters completely FREE OF CHARGE. 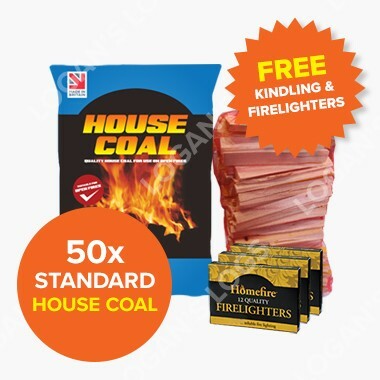 Our Special includes five nets of our fantastic Kiln Dried Logs and five bags of coal of your choice. Includes 3x Net of Kindling and 3x Box of Firelighters completely FREE OF CHARGE. 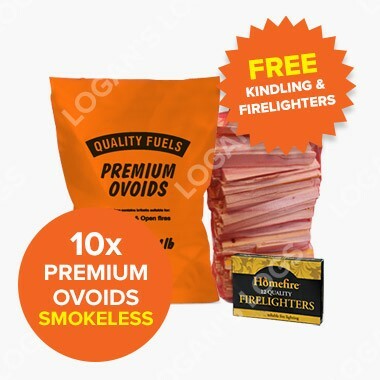 Our Special includes ten nets of our fantastic Kiln Dried Logs and ten bags of coal of your choice. 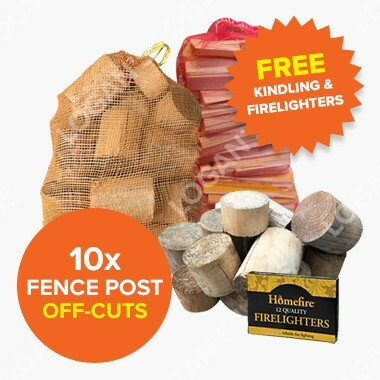 Includes 4x Net of Kindling and 4x Box of Firelighters completely FREE OF CHARGE. We have some fantastic deals on 100% Natural Brackenburn Brackettes. Quantities of 5, 10 and 20 Available. 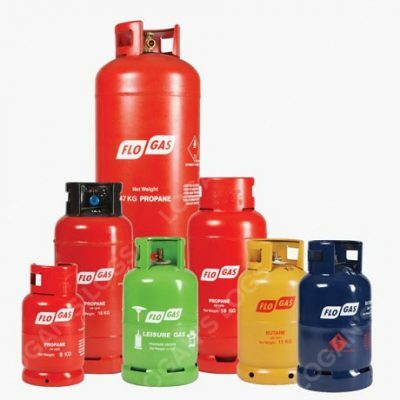 We stock a complete range of LPG Propane, Butane, Camping Gas and Fork Lift Bottles. 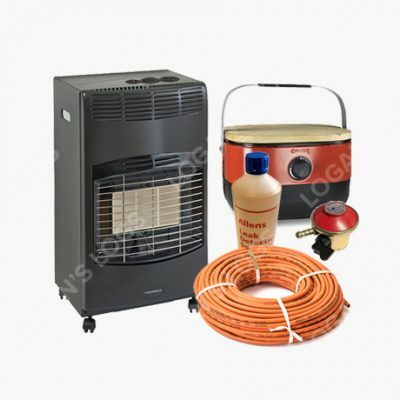 Suitable for Generators, Tractors, Lawn Mowers, Boats and more. 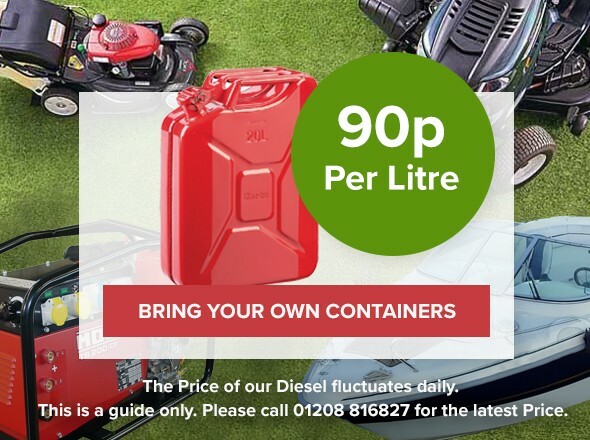 Containers can be purchased from us or you can bring your own. 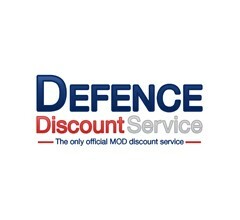 Suitable for use with heating oil boilers..
We are now a proud member of the MOD Discount Service. 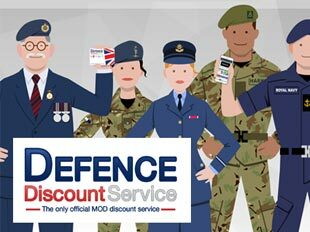 Please register and save 10% on our complete product range. Read More about our Delivery Policy. 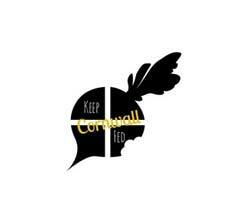 All our products come with FREE DELIVERY in many areas of Cornwall. 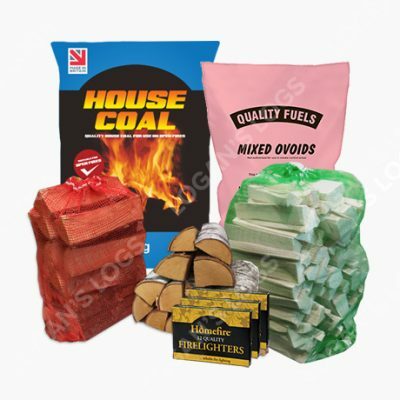 Make huge savings on Part Seasoned Firewood, Coal and Smokeless Fuels. Our Summer Sale is now on. Grab yourself a Bargain. We're confident you will enjoy the excellent products we sell. At Logan’s we pride ourselves on our fantastic customer reviews. 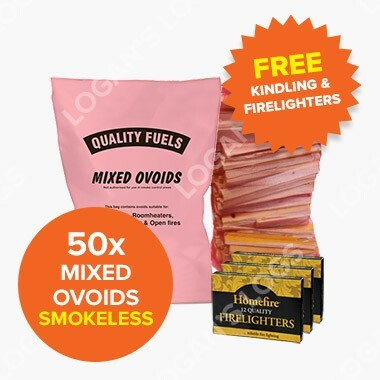 This fire pack is ideal if you are a holidaymaker looking for a complete wood burning package for 5 days. 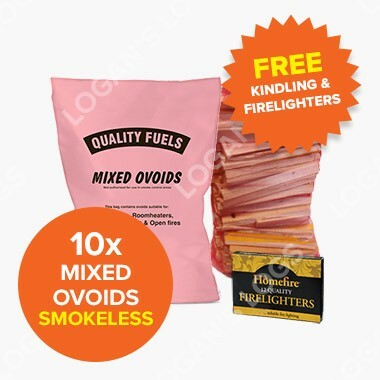 This fire pack is ideal if you are a holidaymaker looking for a complete wood burning package for 10 days. 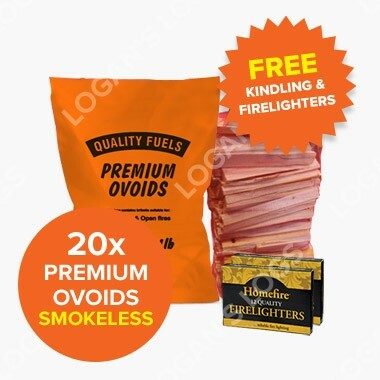 2x Net of Kindling and 2x Boxes of Firelighters. 4x Net of Kindling and 4x Box of Firelighters. 5 x Nets of Oak Hardwood. 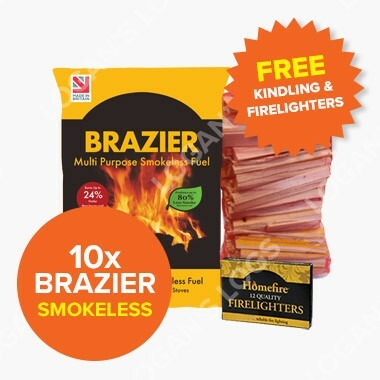 1 x FREE Standard Firelighters. 2 x FREE Standard Firelighters. 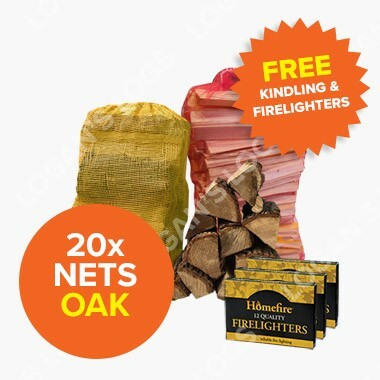 20 x Nets of Oak Hardwood. 3 x FREE Standard Firelighters. 50 x Nets of Oak Hardwood. 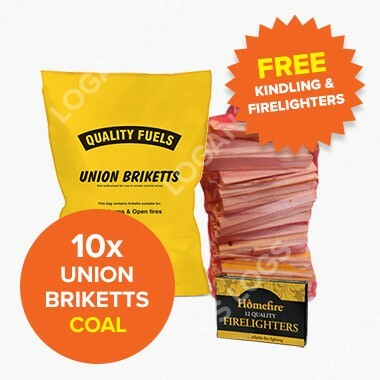 4 x FREE Standard Firelighters. 5 x Nets of Birch Hardwood. 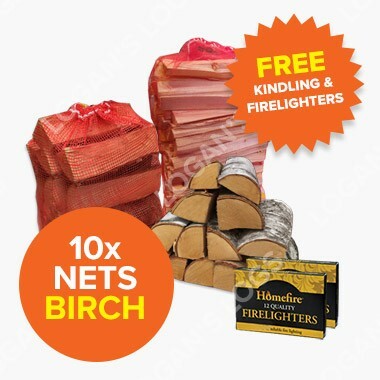 10 x Nets of Birch Hardwood. 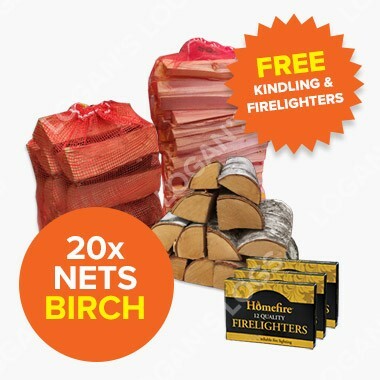 20 x Nets of Birch Hardwood. 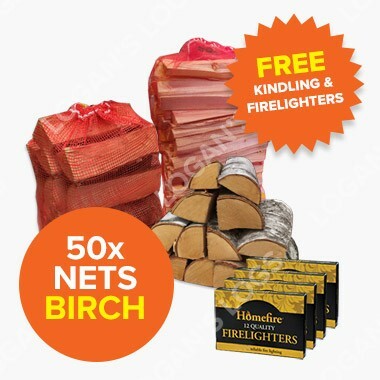 50 x Nets of Birch Hardwood. 10x Nets of Fence Post Off-Cuts. 5x Boxes Rock Estuary Heat Logs. 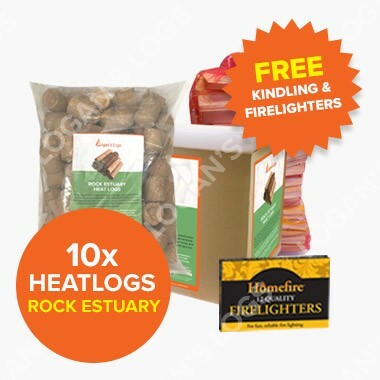 10x Boxes Rock Estuary Heat Logs. 20x Boxes Rock Estuary Heat Logs. 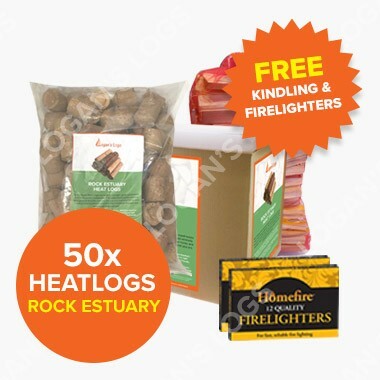 50x Boxes Rock Estuary Heat Logs. 5 x Nets of Cornish Hardwood. 10 x Nets of Cornish Hardwood. 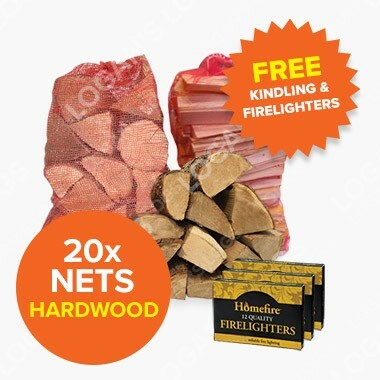 20 x Nets of Cornish Hardwood. 50 x Nets of Cornish Hardwood. 20 x Bags of 20kg Brazier. 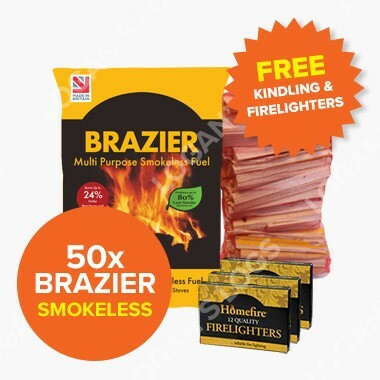 50 x Bags of 20kg Brazier. 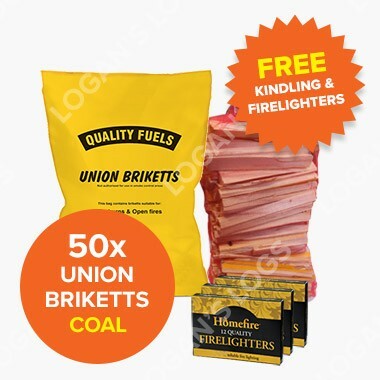 50 x Bags of 20kg Union Briketts. 3 x Boxes of Firelighters. 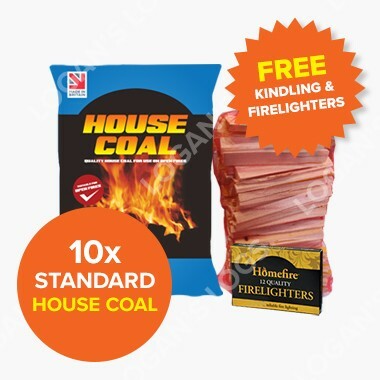 10 x Bags of 20kg Standard House Coal. 1 x Box of Standard Firelighters. 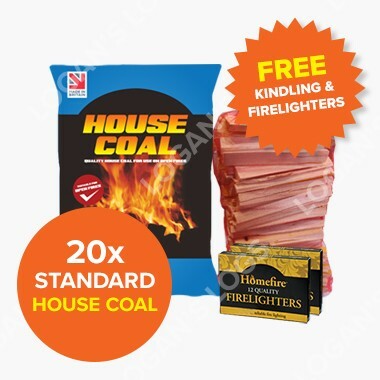 20 x Bags of 20kg Standard House Coal. 2 x Boxes of Standard Firelighters. 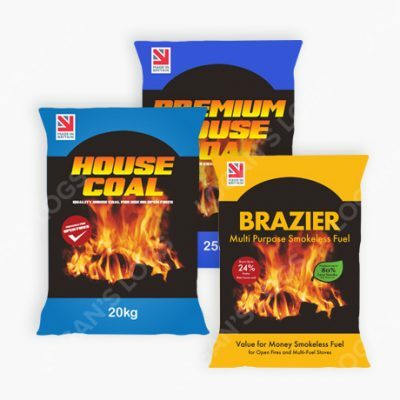 50 x Bags of 20kg Standard House Coal. 3 x Boxes of Standard Firelighters. Unsure of what fuel to burn? Read our Practical Guide to Burning Fuels on Open Fires and Stoves. Burning wood and other fuels on open fires and stoves is increasing in popularity. This guide will answer some important questions when considering what fuel to buy and burn on your appliance. 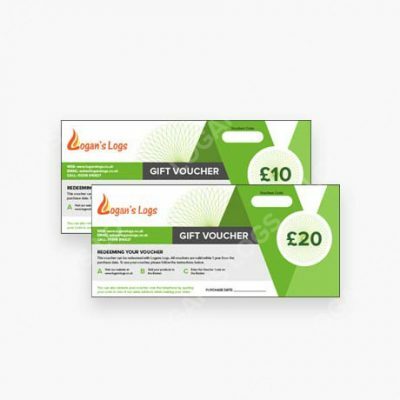 Logan’s Logs is a Cornish family owned business trading from our premises in Wadebridge, Cornwall. 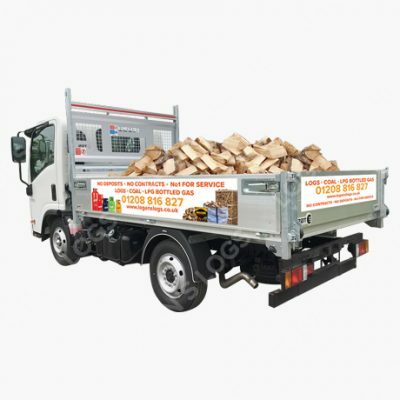 We supply the finest Cornish Firewood Logs, coal and smokeless fuel. 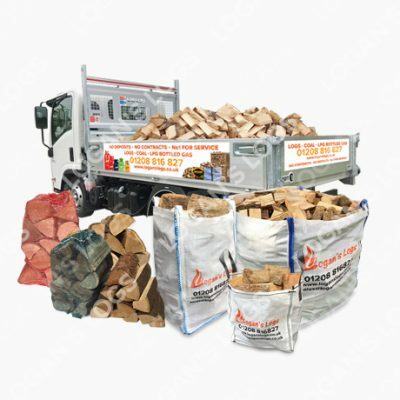 Being one of the largest firewood producers in Cornwall, we always have plenty of stock available at any one time. 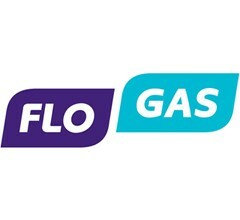 We are also the second largest independent LPG bottled gas distributor in Cornwall. Every bottle size is available and always in stock. 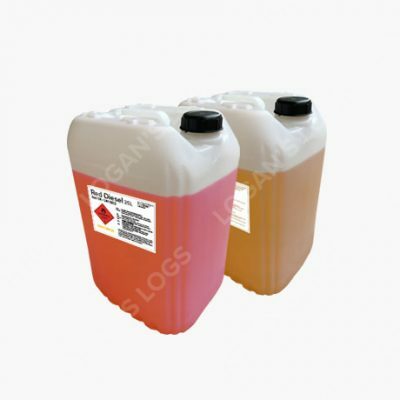 We have the large propane bottles, butane for portable heaters, patio gas, camping gas and fork lift truck bottles available. All our local deliveries are free. 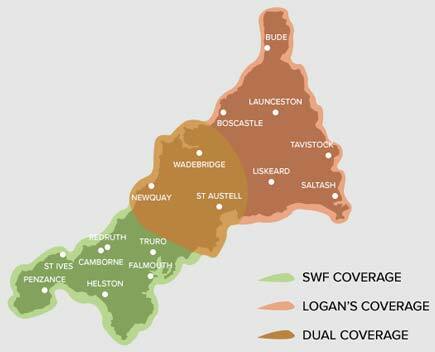 We cover most places in Cornwall. These include: Bodmin, Bude, Camborne, Camelford, Delabole, Falmouth, Fowey, Hayle, Helston, Launceston, Liskeard, Mevagissey, Padstow, Penzance, Perranporth, Polperro, Portreath, Redruth, Saltash, St Agnes, St Columb Major, St Columb Minor, St Ives, Tintagel, Newquay, Mullion, Truro, Wadebridge plus many more. If you live outside the areas below, no problem. Please give us a call and we can advise you if their will be any delivery charge. The chances are, if you live in Cornwall it will be completely free of charge. Our firewood is grown in local estates right here in Cornwall. For every tree we harvest for firewood, we plant 3 in its place. This ensures that our wood travels the shorted distance possible before it arrives at your door and that all our products are kind to the environment and are sustainable sourced. Logan’s Logs are proud to be a member of the Made in Cornwall Scheme and the Buy with Confidence Scheme. So we produce the highest quality products right here in our home county to the highest standard. To receive updates, special offers and our newsletter please sign up below. Please fill in the marked field(s) below. We are proud to announce that Logan’s Logs has joined forces with South West Forestry. A company with a great reputation, we hope to carry on supplying the south of Cornwall in the same way. This means if you’re looking for premium Cornish Firewood Logs, we have the whole of Cornwall covered. 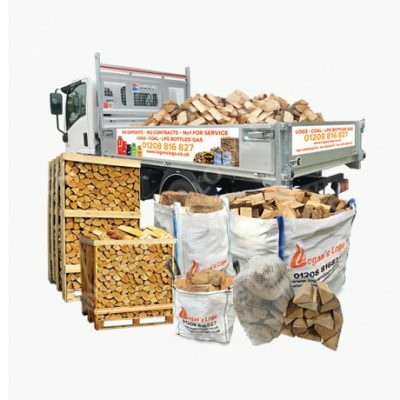 You’ll still have the benefit of a local Cornish family owned business, with the added benefits of great customer service, a larger delivery network and an extensive Firewood, LPG Bottled Gas, Coal and smokeless fuel product range. 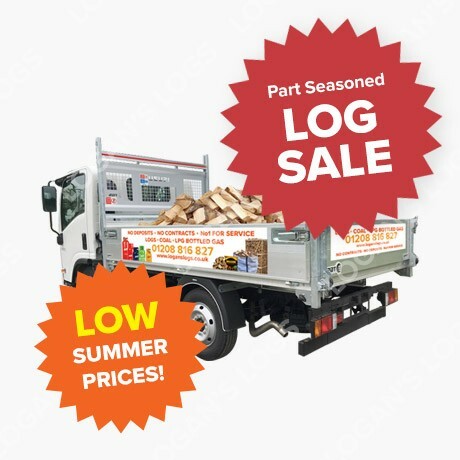 Here at Logan’s Logs, we pride ourselves in producing the finest quality Part Seasoned and Kiln Dried Firewood. 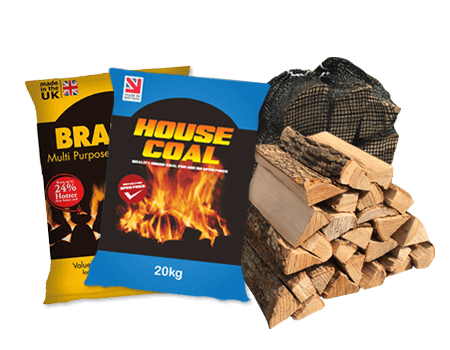 We kiln dry our own logs on-site and all of our Bags, Nets, Crates or Loose Loads are individually tested for the optimum moisture level. It’s important to us that your happy with your purchases. 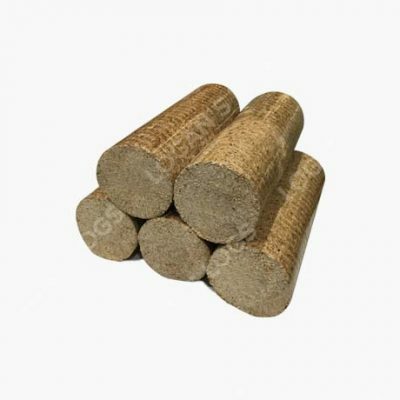 We like to ensure that our logs are long lasting and burn extremely well. If in the unlikely event you are not happy with your purchases, we have a no quibble guarantee. 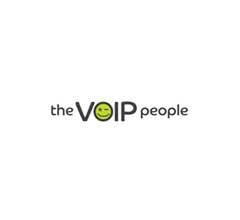 Simply call us on the number below and we will do our best to rectify any issues. If you have any questions, please call us on 01208 816827 or email us on sales@loganslogs.com and one of our friendly sales advisers will be happy to help you. Please fill in the required field(s) below. Sign up to our Newsletter and get a FREE net of kindling with your next order over £30.